SPONSORED LINKS According to scientists, a battery has its own level of ‘stress’. Just like people, li-ions react to constant stress by reducing lifetime. So if you want your phone to live long, you need to reconsider your ‘charging’ views.It’s bad to keep your phone plugged when it’s fully charged, we usually do that at night. When the phone gets 100%, and… it keeps getting impulses. So your battery is in stress. Your battery does not need to reach 100% when charging, in fact, it’s not desirable. Because at the end your phone charges under high voltage, that harms your battery. Your battery will last longer if you charge your phone a little few times a day. 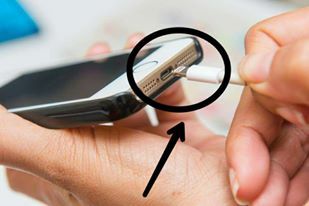 It’s best when you charge your phone when it loses 10%, however, you can not control this all day long, it’s not possible, but just plug it whenever required. Charging like this will make your battery last longer, and you’ll have a fully charged phone whenever you need. Heat influence your phone battery. If your phone appeared to be under straight sun rays, you should cover it to protect your phone’s battery.